Reloading containers onto the Yantian Express is scheduled to begin today. Owner Hapag-Lloyd said the fire-hit ship was expected to depart for its next port of call at the end of the month, but it warned this was in doubt as a number of cargo owners had still not paid general average and salvage security. The carrier said in a customer advisory: “The salvage company has now declared that the granted period of 21 days for the provision of salvage security has long expired. We understand that the salvage company is working on getting the required certification from the Lloyd‘s Arbitration to enable it to sell the cargo to satisfy its security interest, should security not be provided imminently. It added that the next port of call had yet to be determined. 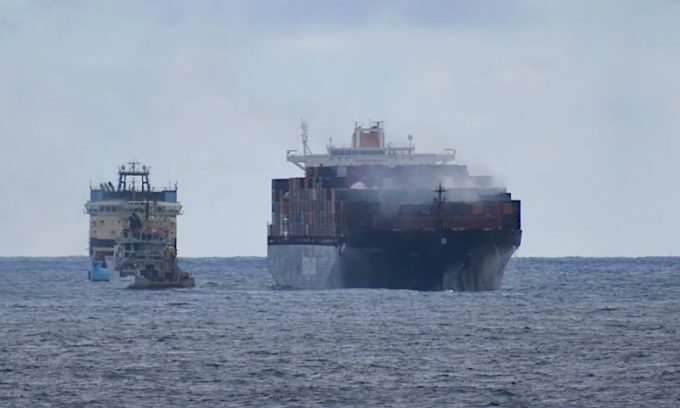 Fire broke out in a container as the ship was en route to Halifax in early January, spreading to other boxes as heavy weather hampered the crew’s fire-fighting efforts. They were forced to temporarily abandon the 320-metre vessel, which sails under a German flag in THE Alliance’s East Coast Loop 5 (EC5) service. Ocean-going tugs subsequently towed the vessel to Freeport, Bahamas. General Average was declared at the end of January and on 5 February, the GA surveyor identified 202 containers that were a total loss and another 460 containers stored in the affected areas that required inspection.